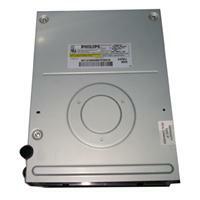 Xbox Dvd Drive (Philips) This is the Phillips DVD drive which can replace a damaged DVD drive in your Xbox. The brand is favored among many as it can read numerous types of disks including CD-RW/DVD-r/DVD-rw/DVD+r/DVD+rw. Highly recommended if you need a replacement drive if you are having a dirty disk error or PIO/DMA (error 12) problem.